Tag - airplane | Squackle.com! The Funniest Site on the Net! A vulture boards a plane carrying two dead raccoons. Pocket Planes is a somewhat-sequel to another NimbleBit game, Tiny Tower. Instead of managing an endless tower of floors, you are in control of your own endlessly expanding airline full of planes and airports across the Earth. Eventually you’ll be able to grow your airline from using planes that can only carry one person or one piece of cargo to planes that can carry up to 17. The goal in Pocket Planes is to deliver stuff to different cities in the most efficient way possible. You take people and cargo in varying combinations from different airports and try to end up at your destination in the quickest/cheapest way possible so that you can have more capital to expand your reach. The idea is pretty interesting to me, personally, because I like Tycoon games, and at the end of the day it is one. From a game design standpoint, Pocket Planes is a nice evolution from Tiny Tower. In Tiny Tower you basically had to micromanage your endlessly expanding tower. While there is still micromanaging in Pocket Planes, it isn’t nearly as stressful to keep up with since there is some actual strategy involved instead of just mindlessly spam-tapping you finger against a screen endlessly. When you want to deliver a person/cargo to a city, you have to figure out the best way to get there and the best way to make profit from the venture. As opposed to Tiny Tower, you don’t necessarily feel like “time” is a resource. All of the planes in your fleet operate independently of each other, and you don’t feel like you’re “losing money” by having your planes sit at an airport waiting for instructions. Technically you could always be sending your plane on a job to make money, so there is that element of wanting to keep your planes busy, but the inclination is much less urgent. You can also dump a person/cargo at another airport without any penalties (other than fiscal) so that another one of your planes can take them wherever they need to go. However, there are still some inherent flaws that the developers at Nimblebit just don’t seem to grasp that are present in both Tiny Tower and Pocket Planes — being able to FIND what you’re looking for EASILY. You’re going to have to memorize and hunt-and-peck for the airports you’re trying to get to. An arrow indicator or at least some sort of noticeable color that grabs your attention instead of slowly pulsing white text would be a real help here. Why are they trying to make me memorize where all of the airports in the game are? It looks like there are a hundred airports, at least. User interface can also be a little wonky at times. It can lack intuitiveness, and the biggest issue is trying to figure out what is the most profitable flight path for a particular plane. You can’t easily switch out cargo to another piece to figure out if you’re going to make more money from shipping one piece versus another if you’re at the airport screen – you have to go back to the airport, go back to the load out screen for your plane, and THEN back to the map screen. You can’t just go back to the load out screen and back to the map screen back and forth. I feel like there are a lot of unnecessary taps involved in trying to send a plane on a new order. It should be more refined in this aspect and instantly bring up certain screens once you tap certain items instead of having to tap the button that explicitly has them occur. Or allow you to go back to the immediately previous screen. Stability of the app is a huge issue. The game freezes, lags, and even crashes. Tiny Tower had some lag issues when you had a lot of floors, understandably, since it was trying to display all of the info at the same time. In Pocket Planes, there is much less going on, so it makes no sense whey I have to wait a minute or force quit the game to get anything going when it decides to go haywire. The currency system in this game might actually be more ridiculous than Tiny Tower’s. Tiny Tower pretty much only had one place to sink your Coins into – more floors. In Pocket Planes, there are at least ten things you can spend Coins on, and more things to sink your Bux into. Coins are used to buy new airports (which come with a bonus plane part) and upgrade airports/airplanes. You can also advertise airports to get more traffic in and out of it. Bux are used to make planes instantly arrive at their destination, buy more Coins, and buy more planes or parts. Once you have enough parts for a particular plane, you can spend more Bux to build that plane and put it into service. If you don’t have enough available airplane slots, you have to buy another with more Coins. Airplanes have three stats that you can upgrade with Bux: speed, range, and weight. Speed and range seem self-explanatory. Weight, however, can be a little bit ambiguous. Weight will improve the efficiency of the plane and make them cheaper to fly, which means more profit in the long run. All three stats can be upgraded three times. Of course, Bux are the all-important currency in this “free-to-play” game. Bux allow you to pretty much excel in the game, and if you have too many you can exchange them into Coins. While Bux are the more valuable currency and you are “allowed” to buy them with real money, Coins are the most needed and you need gobs of them to do anything profound (we’re talking tens of thousands). There is also the cost of actually having to spend Coins to have your planes fly anywhere, so if you don’t have any Coins, your planes aren’t going anywhere. When a piece of cargo or a passenger is paying Bux to get to their destination, you are essentially paying Coins to get those Bux. Spending Coins in this game to make Coins doesn’t have the same problem Tiny Tower does – in this game you can actually influence how much profit you can make by your flight plan for each individual plane. In Tiny Tower, all Coin costs were essentially fixed and could have easily been taken into account so that you wouldn’t have to “spend Coins” to make Coins. The prices of airports range from 1000 Coins to 75,000 Coins, or maybe less/more. I’m not really inclined to tap a ton of airports to figure out how much they cost. Airplane slot costs slowly increase from about 2000 Coins to infinity. There is a leveling system in place that restricts your maximum amount of airplane slots you can buy (as if you would be able to buy them all) and the amount of airports you can own. Gaining levels gives you extra Bux to use as you please. Once you get to the point where you don’t want to use your one or two passanger planes anymore, you can remove them from service, which go into a repository named the “Hangar.” If you want to put those planes back into service, it costs Bux to do so. One of the redeeming factors of the game is that it allows you to “collect” all of the planes in the game in your Hangar. 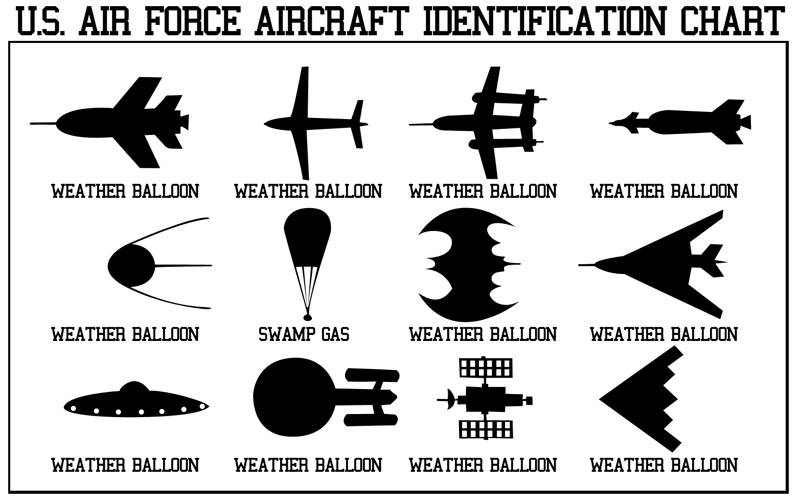 It is also pretty cool because they have fun planes like a Starship or Hot Air Balloon. Another cool aspect is that practically every screen allows you to instantly look up Help information in-game if you are sketchy on the details of a particular option. The Help icon in the top right is pretty helpful at times, and is nice to have. Notifications are also a problem that carries over from Tiny Tower. This game constantly notifies you if you are going in and out of the game. Every time one of your planes land it buzzes to let you know. You can temper the notifications – there are two options: “First & Last Landing” and “All Landings.” You can only disable the notifications if you go into your iPhone’s settings — not something you can do in-game. If you are constantly playing the game you are going to get buzzed quite a bit, and it can become tiresome during those points. There needs to be some sort of way to group up notifications – such as every 30 minutes (or something you can customize) the game should at that point tell you there are “8 planes ready for directions” instead of resetting the “First & Last Landing” counter every time you go into it. A lot of the art in the game is re-used from Tiny Tower. The art style is basically the same as its predecessor, on account of the recycling, so it meshes well with it. It is nice to look at, but not as upfront humorous as Tiny Tower, since most of the time you’re spending it on menu screens. The sound is also sort of annoying since it is ambient airplane burrrrrrrrrrrrrrrrrrrrrrrrrrrrrrrrrrrrrrrrrrrrrrrrrrrrrrrrrrrrrrrrrrrrrrrrrrrrrrrrrrrrrrrrrrrrrrrrrrrrrrrrrrrrrrrrrrrrrrrrrrrrrrrrrrrrrrrrrrrrrrrr. And you can’t make it go away unless you go to an unoccupied airport. Recommend to turn it off, sirs and madams. Pocket Planes may become as cumbersome as Tiny Tower does later in the game. As you expand airports, you might have a tough time remembering where anything is, and since there isn’t an easy way to figure out how much profit you can get from alternate choices, it may compound even further. You also shouldn’t get smart and try to start having airports randomly across the world – you will start getting requests to go to those airports you can’t reach with your main fleet, so it’s better to expand from your first airport out. Playing the game for a longer period of time, you tend to hit a “wall” where you can’t buy any more airports or add any more planes to your roster. Gaining Coins is such a cumbersome task that it is hard to gain because your smaller planes only make so much in one delivery run. Expanding to the larger planes is also a difficult prospect, because the “class” of the plane allows it to only land at “bigger” airports. A Class 2 plane can only land in Class 2 or higher Airports, and so on. That means your larger planes won’t visit any Class 1 airport you bought and as a result, you won’t really be making money from a Class 2 plane until you have a lot of Coins. But you can’t make a lot of Coins with smaller planes… unless you grind forever. It is a vicious cycle, and sort of impedes any natural “progression” that you may have. The level restrictions are just an additional unneeded barrier since the thing that is really holding you back is the amount of Coins you earn. I suppose recommending this game would be something I would do, but it’s not really all that fun, just more attention-inducing than anything else. You kind of wait around a lot and get tons of notifications. There’s a few “meta objectives” that consist of you delivering thousands of jobs and competing in some sort of social competition thing called Flight Crew where you can qualify for bonuses if you achieve a certain mark during an event, but they don’t really change the game that much – it just “inspires” you to play more. Games like this tend to not be anything more than a time waster. There isn’t any skill involved with playing, and there isn’t any “fun” progression. The natural progression of the game is lassoed by the intent to make you buy Bux, and that is pretty sad. If it weren’t for the endless grind, stability of the app, and the recycled art, Pocket Planes might actually be fun. 1. 8:45 am (5:45am Glendale time) is too early for them to be up. 2. They are always late, they would have missed all four flights. 3. Pretty people on the plane distract them. 4. They would talk loudly & bring attention to themselves. 5. With food & drinks on the plane, they would forget why they’re there. 6. They talk with their hands, therefore they would have to put their weapons down. 7. They would ALL want to fly the plane. 8. They would argue & start a fight in the plane. 9. They can’t keep a secret, they would have told everyone a week before doing it. 10. They would have put their country’s flag on the plane. The fur began to fly when my fellow airplane passengers learned there was a chance they might miss their connecting flights out of Aspen. When I was young I dreamed of being a test pilot. Flying higher, faster, farther. Risking my life for the science of aviation. But when I grew up I found out I wasn’t qualified because of my poor eyesight. Now I work in a post office which gives me many of the same thrills. I’m always pushing the envelope!